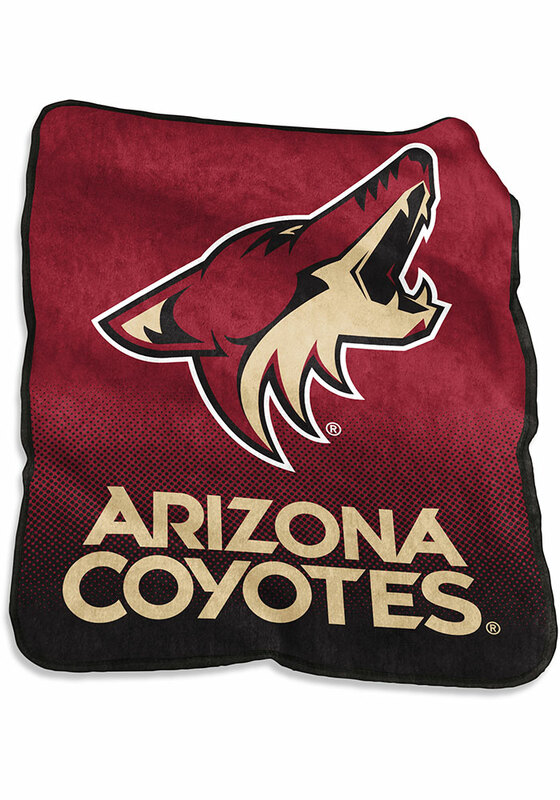 You'll love displaying this Arizona Coyotes Raschel Blanket, which features a Arizona Coyotes logo graphic finished with thick team color binding. This throw is thick and warm, yet lightweight for portability. It was designed with style and coziness in mind. Add some spirit to your living space with this high quality team blanket. Machine washable. This Raschel Blanket will keep you warm at home or cheering on your Howler the Coyote from the stands.